When a couple finds out they’re expecting a child, it’s not unusual for them to rush out and fill their home with little shoes, little clothes, little toys. 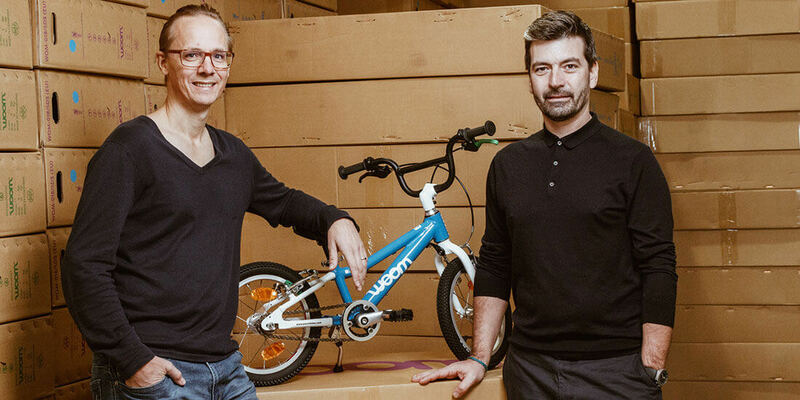 When woom Bikes cofounder Christian Bezdeka found out his wife was expecting their first child, he went on another mission: to find the perfect little bike. However, the Austrian designer returned empty-handed, finding that many of the existing options for kids were less than stellar. Undeterred, he went to work creating his own kid’s bike. This article originally appeared on Autodesk’s Redshift, a site dedicated to inspiring designers, engineers, builders, and makers. Continue reading the article: https://www.autodesk.com/redshift/woom-bikes/. Photo Credit: Christian Bezdeka (right) with woom cofounder Marcus Ihlenfeld. Courtesy woom.